By virtue of their relative strength, spider webs are already one of the impressive organic ‘structures’ of the natural world. And now adding to this wonder of nature, scientists (from the University of Trento) have been able to enhance the metabolic rate of a batch of spiders by basically feeding them graphene and carbon nanotubes, which were mixed into their drinking water. And while the scope may be likened to a science experiment gone wrong, the researchers were actually successful in extracting a more strengthened form of silk from these spiders. Simply put, the silk spun by these specific spiders was found to be around 5-times stronger when compared to their ‘normal’ variety. Essentially the graphene-reinforced silk material is as strong as Kevlar and even pure carbon fiber, modern materials that are considered among the strongest materials on Earth (in terms of their ratio to mass). Interestingly enough, a research conducted by Rice University in 2014 alluded to how graphene has the ability to perform twice as well as Kevlar when it came to dissipating the energy of a bullet. In addition, it was a whopping eleven-times as effective as steel – proven by the demonstration of a related test. We already know that there are biominerals present in the protein matrices and hard tissues of insects, which gives them high strength and hardness in their jaws, mandibles, and teeth, for example. 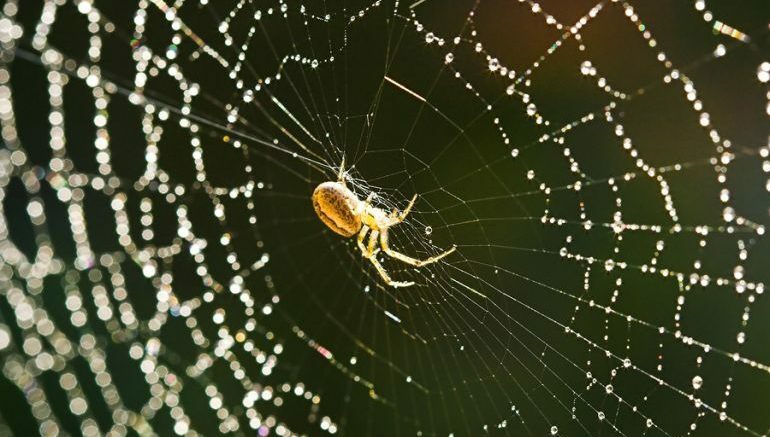 So our study looked at whether spider silk’s properties could be ‘enhanced’ by artificially incorporating various different nanomaterials into the silk’s biological protein structures. This process of the natural integration of reinforcements in biological structural materials could also be applied to other animals and plants, leading to a new class of ‘bionic-composites’ for innovative applications. In other words, the latest study brings forth yet another ‘feather in the cap’ for the uniquely two-dimensional, one-atom thick graphene. And in case you are interested, a few other graphene-oriented technologies range from electronics-powering paints, plastics with high thermal conductivity to ultrafiltration systems. The study was originally published in the 2D materials journal.